91outcomes.com: Blast from the Past – Increased brain cancer deaths in Khamisiyah-exposed Gulf War veterans. 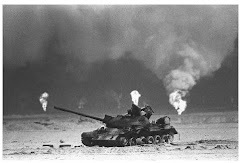 Blast from the Past – Increased brain cancer deaths in Khamisiyah-exposed Gulf War veterans. A research paper published in the August 2005 issue of the American Journal of Public Health finds that Gulf War veterans who may have been exposed to nerve agents during the March 1991 weapons demolitions in Khamisiyah, Iraq, appear to have a higher risk for brain cancer death than veterans who were not exposed. 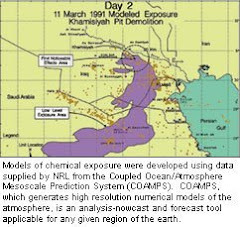 The paper, Mortality in US Army Gulf War Veterans Exposed to 1991 Khamisiyah Chemicals Munitions Destruction, was released: July 25, 2005 and has been repeatedly cited ever since.